The M240B 7.62mm Medium Machine Gun is a variant of the M240 mounted on Bradley Fighting Vehicles and Abrams tank and has been reconfigured for ground applications with buttstock, bipod, iron sights, and forward rail assemblies. It provides significantly improved reliability and more lethal medium support fire for ground units such as infantry, armor, field artillery, and combat engineers. The M240B has a maximum effective range of 1,800 meters, a cyclic rate of fire of 650 rounds per minute, and a muzzle velocity of 2,800 feet per second. The M240B has been fielded to units Army-wide and has become a critical weapon for units engaged in combat operations. Efforts to reduce the weight has finally been achieved with the new M240L. It reduces Soldier combat load by decreasing the weight of the M240B without compromising performance. 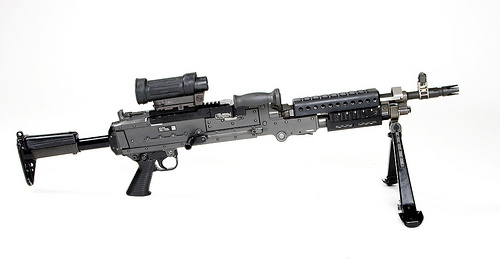 This 7.62mm medium machine gun incorporates titanium construction and alternative manufacturing methods for fabricating major M240B components to achieve significant weight savings. These improvements reduce the Soldier’s combat load while allowing easier handling and movement of the weapon. The M240L short barrel variant is 21.8 pounds, 5.4 pounds lighter than the M240B. 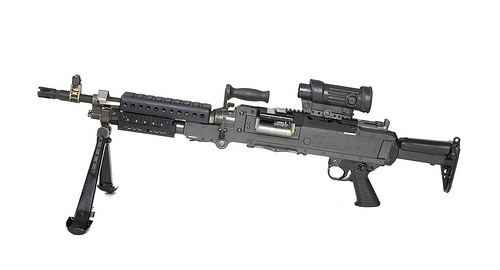 The M240L is the program-of-record solution to reducing the weight of the M240B. The M240L meets all of the reliability and operational characteristics of the M240B and has an effective range of 1,800 meters. It is rugged and reliable and has a minimum 50,000-round receiver life. According to Defense Industry Daily (6/16/11), FN Manufacturing received a $28.1 million, firm-fixed-price contract for 3,053 units of the M240L variant for the U. S. Army, which comes out to about $9,204 per gun. Honestly speaking, I did not have any knwlodge regarding m240l 762mm medium machine gun. I have a college assignment in which I have to write about this gun and trust me I found this article really useful in completing my assignment. I really thank you for sharing all this with us.